Born in Johannesburg, South Africa, de Wet Sensei was introduced to physical culture and combat sports by his father in 1975. 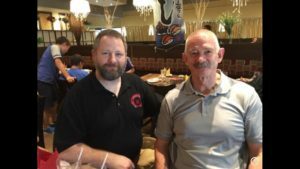 Menno de Wet was a former boxer, and part-time coach who decided that his son needed some informal instruction in the sweet science of Boxing, which he continued with until boxing for his military unit in 1990. 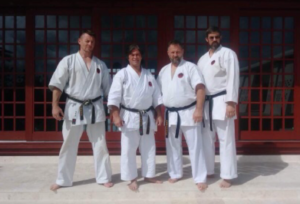 At the tail-end of 1976 an impromptu fight with a Karate-ka friend led de Wet Sensei to the start of a journey that has thus far taken him to four continents and more than 20 countries. 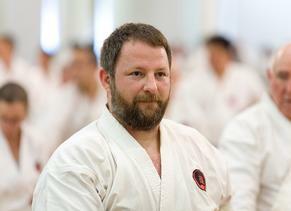 Karate: Despite being graded in other Karate systems, de Wet Sensei has focused on Okinawan Goju Ryu and Kyokushinkai. He has represented South Africa, Oceania, Singapore and the USA at the World Championship level in open Karate and Kudo competition, and has trained with many of the world’s greatest Masters of Karate. He remains a student of Higaonna Morio Sensei, the “Lion of Okinawa”. de Wet Sensei was also the founder of the IOGKF in Singapore, and the Chief Instructor there from 2000-2008, before returning to the USA. 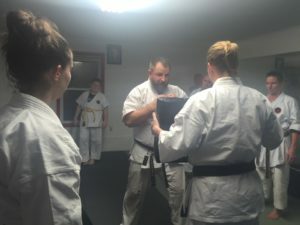 His own students have graded in front of Higaonna Sensei for their own dan grades (Shodan through Yondan), and all have not only passed, but been commended for their effort and positive attitude. 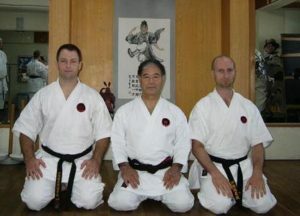 Sensei continues to go to Japan and or Okinawa regularly for advanced training. (16 trips so far.) 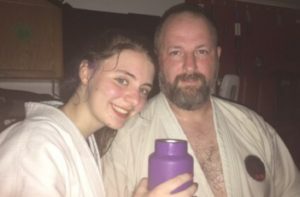 At the 2012 World BudoSai, held in Naha, Okinawa, during July 2012, de Wet Sensei arrived on Okinawa prior to the formal training, to train at Honbu before, during, and after the Gasshuku, spending July in Naha and Tokyo. 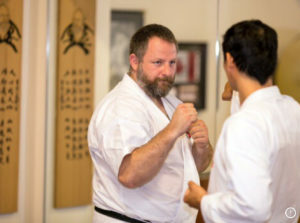 While there, he and Sensei Mirko Buchwald taught classes at the Honbu. 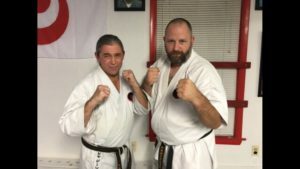 It was at this BudoSai, and after 35 years of continuous Karate training, that Higaonna Sensei graded our Sensei to Rokudan, 6th Degree Black Belt! 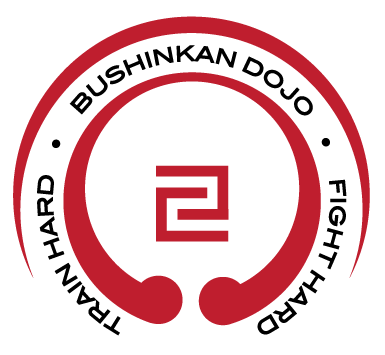 Now in his 43rd year of training, Sensei is often asked to teach at Gasshuku, seminars, or at a variety of events.